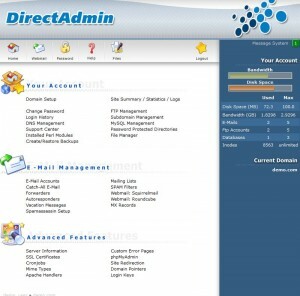 Change Password, easily admin or change Admin Area password login, and powerful secure. Login History; view all login history and tries to have login with all details. DNS Management; manage and admin easily DNS. Installed Perl Modules; discrete component of software for the Perl programming language. Create/Restore Backups; easy backup and restore for Domains (Website Data, domain directory and Subdomain directory, E-Mail, Ftp and Databases). FTP Management, FTP Account Creation and Management to use with web files transferring or/and with Apps Clients. Subdomain Management; depend on the plan of client can create subdomain below the main domain. Password Protected Directories; add protection to certain folder with usename and password login. File Manager; web browsing file management of files and folder. Catch-All E-Mail; defaults domain email of not existing email address. Forwarders; forward from your own domain email to any other email server (Public or Private). Autoresponders; write a letter template to be the auto reply to any email come to Autoresponders email like email with certain information from your company you want to every one know. with 2 different web mail solutions (Squirrelmail, and Roundcube). 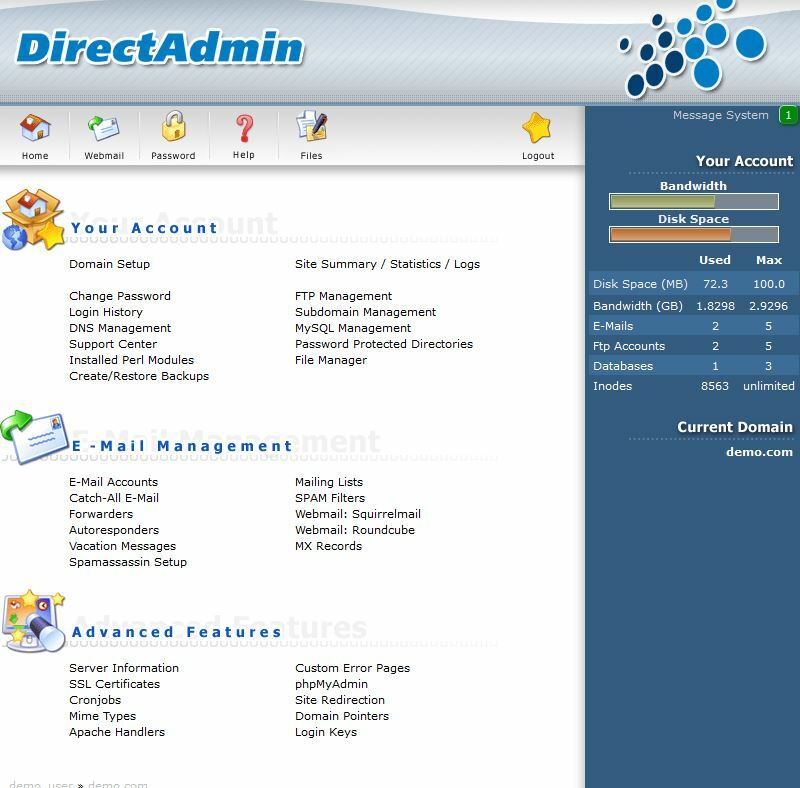 DirectAdmin (DA) is just like Plesk and cPanel of a graphical web-based web hosting control panel designed to make administration of websites easier.